I know I’m a little late to the “lunch bag art” party, but for the past eight years my kids have used lunch boxes. Kind of hard to draw on those. But, last night, I finally got my chance. My daughter is going on a field trip to the zoo today, and they requested that the kids bring there lunches in bags that could be thrown away. 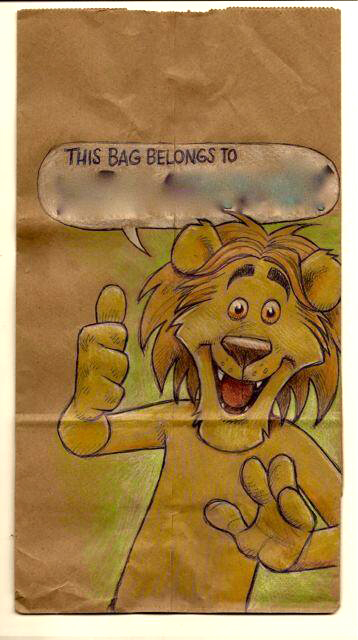 So- voila!– lunch bag lion! 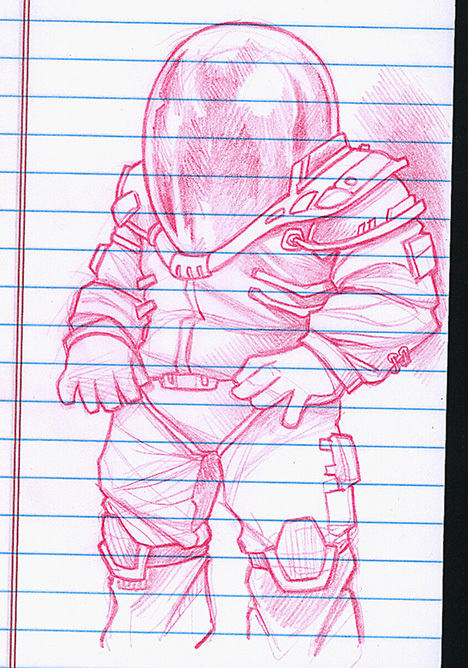 Red Astronauts, and Givin’ ’em what fer! 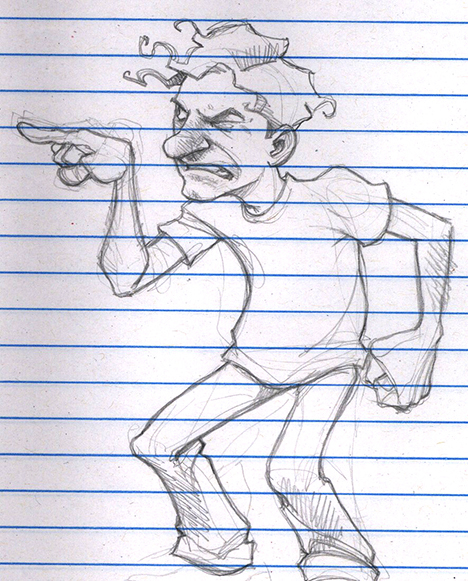 More meeting doodles! I would say I don’t find meetings productive, but that would be a lie. I find them VERY productive… just maybe not in the way the person who called the meeting intended. 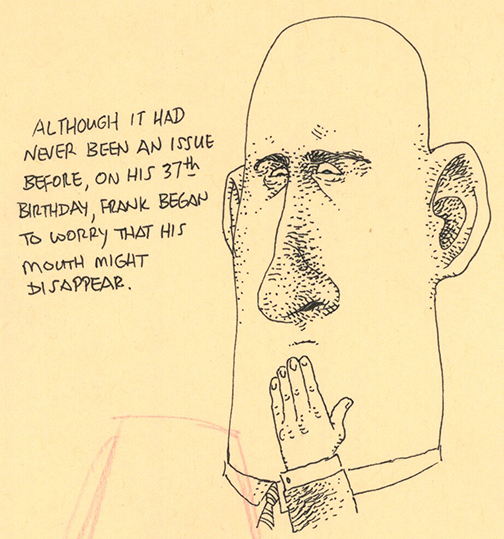 I will now be posting most of my doodles to Twitter. I will continue to post them here, as well, but blog traffic isn’t what it used to be. Twitter has more immediacy and reach in today’s culture (albeit at the expense of any sort of permanence), so I thought it prudent to utilize both as a way of spreading the craziness in my head. 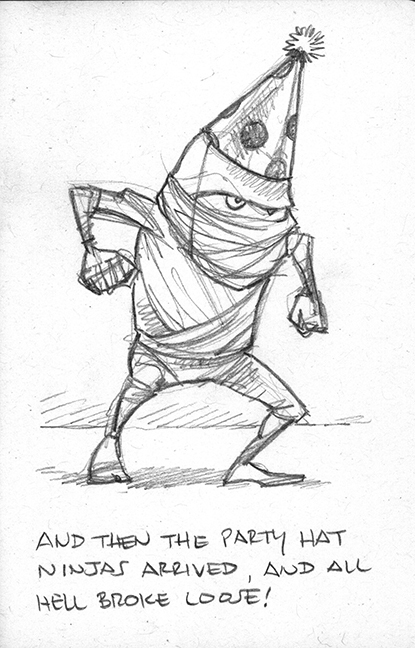 C’mon, follow along as my doodles get twitterpated! 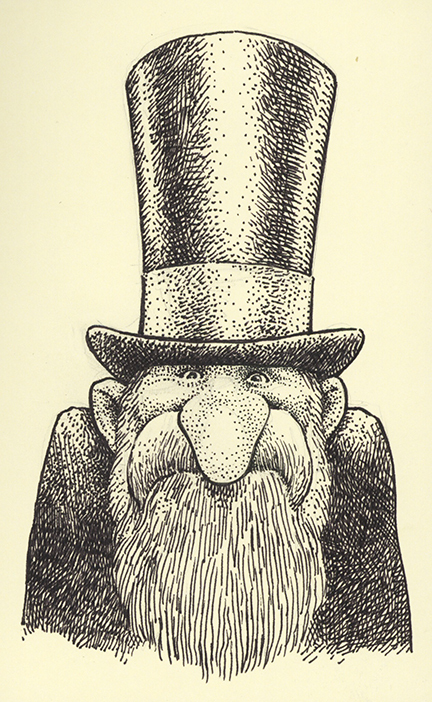 Pen and ink on moleskine sketchbook. Some times, the only way you’ll ever know they were there is the shuriken you find in your Chex Mix.